A friend of mine was diagnosed with early onset Parkinson’s about five years ago. Although she is doing well, her tremors have increased, and she’s having more trouble walking than ever before. When we met for lunch a few days ago, she told me that she’s been having trouble sleeping. She’s able to fall asleep — but within an hour or two she’s back wide awake. She said she’s listened to the clock tick and watched more late-night television than ever before. 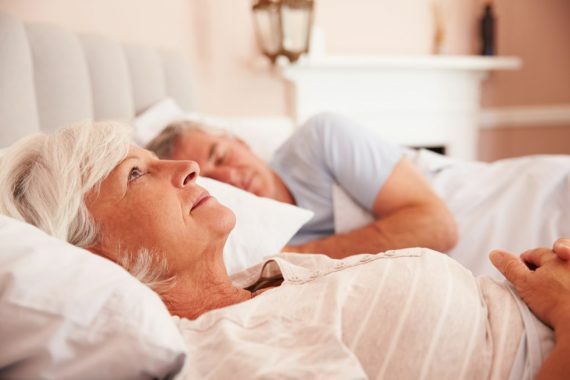 Trouble sleeping is a pretty common problem for people living with Parkinson’s, something you may know well if you or a loved one suffers from the disease. In fact, the type of sleep trouble she has, known as secondary insomnia, is the most reported sleep disturbance in Parkinson’s patients. Luckily, a study out of the Flanders Institute for Biotechnology could make those sleep problems a thing of the past, at least for a certain segment of the population living with Parkinson’s. The research team used stem cells from people with the hereditary form of Parkinson’s disease as well as genetically modified fruit flies with Parkinson’s symptoms to uncover the key to sleep relief. They found that the problem lies in what they call neuropeptidergic neurons, a specific type of nerve cells that regulate sleeping patterns. The scientists discovered that abnormal lipid (or fat) trafficking in these neurons disrupts the production and release of neuropeptides, which in turn affects the regulation of sleep and circadian rhythms. In other words, when there’s an imbalance in the lipids inside and outside of these nerve cells, the result is problems with your sleep-wake cycle. And they didn’t just discover why Parkinson’s patients have problems with their sleep, they also figured out how to help. You read that right… an improvement in a matter of days! The good news is that for those that need help right now and don’t want to wait months (if not years) for that research to be completed, phosphatidylserine is already available and being used safely by people the world over. And although this is the only study to date showing the benefits of the compound for overcoming sleep problems in Parkinson’s patients, 64 blue ribbon studies have shown that phosphatidylserine is one of the single best nutrients for rejuvenating your mind and memory and is considered brain food. So, you or your loved one with Parkinson’s could benefit from more than just better sleep by taking the natural supplement. Parkinson’s disease brings enough challenges without adding in lack of sleep to the equation. Use phosphatidylserine to feed your brain, restore your lipid balance and finally sleep through the night.